Hypersthene allows us to clearly see what is right, and it guides us to adhere to our beliefs based on that and to stand strong by what we know. Hypersthene enables us to use better judgement in all areas of life. It’s a crystal which is handy to have around when feeling overly stressed; this as it will reduce anxiety and tension, and offer calmness and peace of mind in its place. 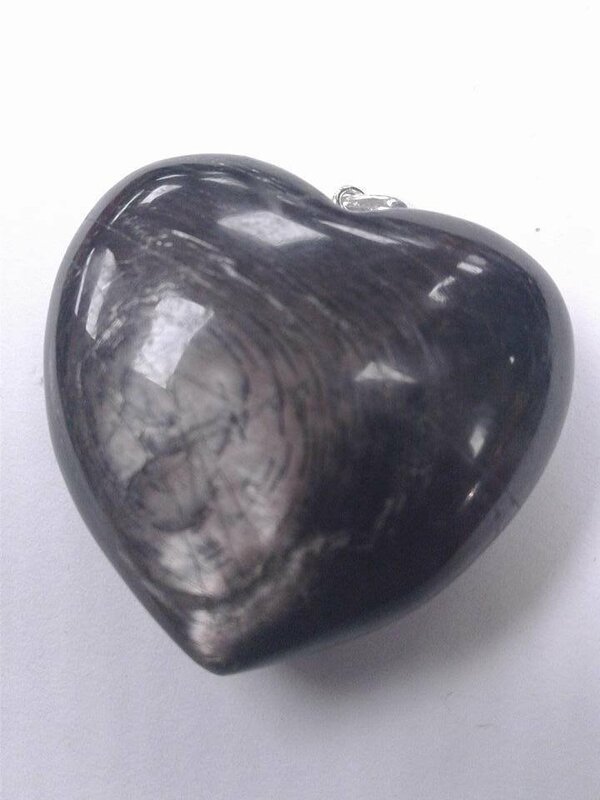 Hypersthene promotes a spiritual and universal awareness, and heightens psychic ability. For these reasons it is a most enlightening stone when applied to meditation experiences. If you are looking for answers in daily life, or as they apply to your spiritual journey, hypersthene will lead you to discovering the insight you seek. The traits hypersthene may be best known for, are to promote clear thinking, as well as problem solving skills. This stone is going to be an asset to students and skilled professionals, as well as anyone needing a higher degree of mental clarity.